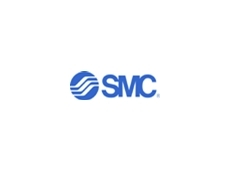 SMC's smooth operating cylinders offer precise control. SMC's smooth cylinder range has been extended with the addition of a new 25mm bore cylinder to the CQSY series. 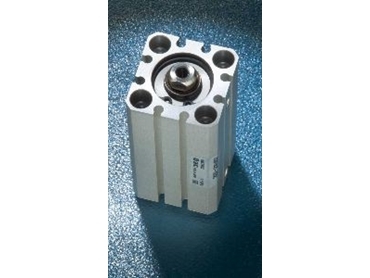 Ideal for use with precision regulators in roller or object transfer applications, the CQSY cylinders feature bi-directional, low-friction operation and enable precise pressure control regardless of cylinder direction. Operating pressure on the new model is from 0.02MPa to 0.7MPa with stroke lengths between 5mm and 50mm. Piston speeds between 5mm/s and 500mm/s are possible, with stable operation ensured at even the lowest speeds. The new 25mm model cylinder is able to operate in ambient and fluid temperatures of between -10°C and 70°C without freezing. A further feature of the cylinder - as on previous models - is that a spacer can be used on the stroke body to enable intermediate strokes to be made at 1mm intervals up to 49mm if desired. Other features include a rubber bumper for end cushioning, a rod end female thread for attaching accessories such as clevises, and a threaded through hole and tapped cylinder ends for easy mounting. The latest addition to the CQSY range now offers SMC customers the choice of 10 bore sizes - ranging from 12 mm to 100 mm - on the smooth operating range.